Parts Plus Australia is the largest quality auto parts recycling group in Australia, with an inventory of over 1 million used parts for a wide range of passenger vehicles, 4×4’s and commercial vehicles. Whether you need wreckers in Melbourne, wreckers in Sydney, Brisbane wreckers or beyond, our members are located throughout New South Wales, Victoria and Queensland in addition to nationwide shipping and freight to get the parts you want to the place you need them quickly and easily. Click here to find quality used auto parts closest to you today! And, because each part is assessed for its quality, we also proudly offer a 3, 6 or 12 month nationwide warranty on all used parts with a ‘No fuss’ money back guarantee! It doesn’t get any better than that when purchasing used parts. So what’s next? 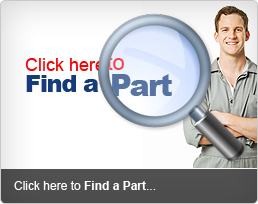 Use our online ‘find a part’ system to search through our entire inventory and find the used parts you need, and the members that have them! It’s that easy – just click here! If you don’t want to search online you can head in to see our Parts Plus members face to face. They all have computerised inventory systems which means that the used car/four wheel drive/commercial vehicle parts that you are looking for can be located quickly and easily. 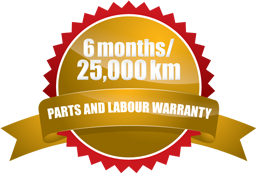 At Parts Plus we pride ourselves on our fantastic used parts warranty, great customer service, parts knowledge and fast delivery service to supply you with the best used parts for a range of manufacturers including Ford, Holden, Mazda, Toyota, Nissan, Mitsubishi, Subaru and more. Parts Plus Australia offer quality used vehicle parts recycled for you, as good as new.